Peter and Judy Boomgaardt feel blessed to be able to support several charities that they consider important to them. 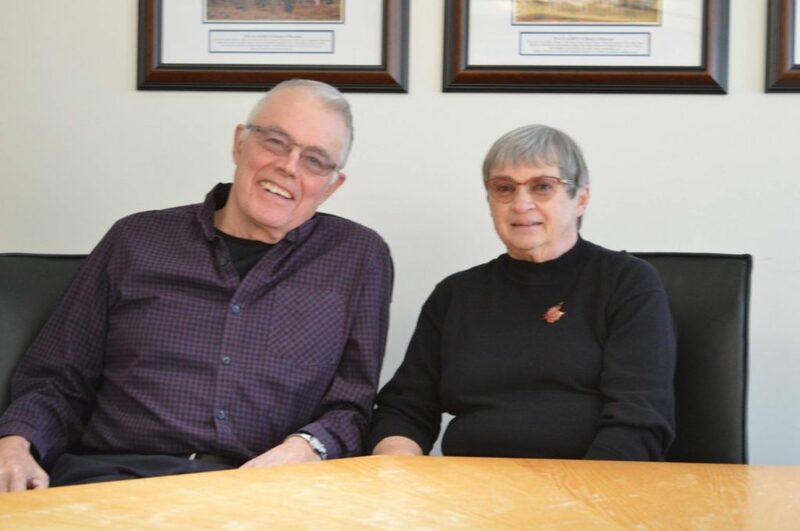 After a lengthy career in the accounting sector, Peter retired and they bought a property with 80 acres of woods just off the Wolf Grove Road near the Union Hall and moved to Mississippi Mills from Ottawa. Supporting local causes like their church and the Hospital make up some of their philanthropic priorities. Boomgaardt went on to say that he really didn’t think most community members know or understand that their support of the Hospital is no longer just a ‘nice-to-have’, but rather now it is necessary to ensure the Hospital has up-to-date reliable equipment. Judy thinks the needs of the Hospital are fairly well understood by many. For instance she and Peter are avid curlers and she thinks that most of their curling friends, primarily seniors that curl during the day, are aware that the Hospital is raising money for new diagnostic imaging equipment. If ensuring that the Hospital and Manor staff have the right tools with which to care for their patients and residents is important to you, join the Boomgaardts and ‘put yourself in the picture’ too by contacting the Foundation at 613-256-2500, ext. 2297.